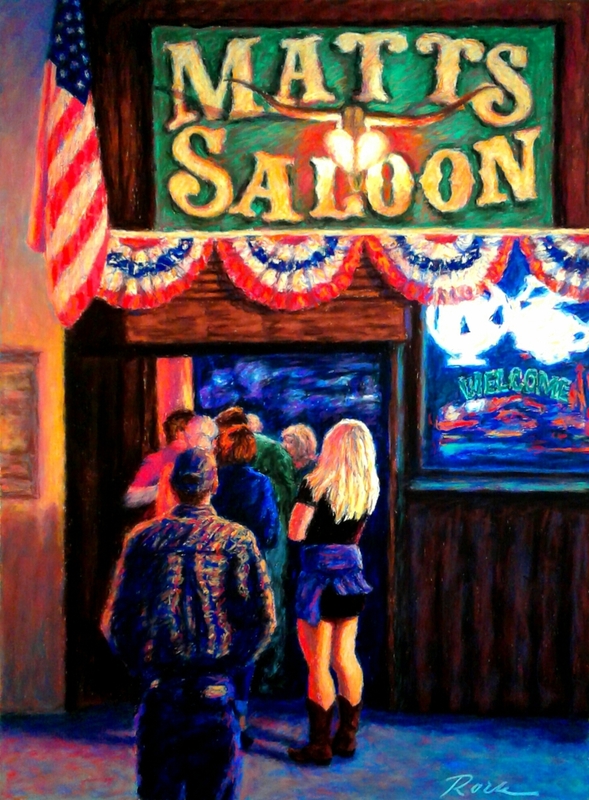 The late crowd entering Matt's Saloon on a Saturday night in Prescott, AZ. This original piece is sold, but this painting is now available in a limited edition of 50 giclee prints. Each print is for sale framed in a gallery style frame, or unframed, your choice. All prints are signed and numbered by the artist, have a certificate of authenticity, and include free shipping within the U.S.